Sometimes in life, all great inspirations begin with a tiny spark of interest in a world of unknown, a chance meeting, and someone willing to introduce you to something new. That’s how it began for photographer turned author, Dan Chavkin, as he describes his journey to his latest creation, Unseen Midcentury Desert Modern, a book of unseen photos of local desert architecture. For Dan, the book came out of his love of photographing midcentury modern architecture in Palm Springs over a six-year period. “I wanted to do something different, something special, to photograph architecture that’s generally not seen by the public,” he says. Chavkin has chosen a mix of unseen, obscure, and unobserved buildings. His “unseen” choices have ranged from industrial park Donald Wexler designs, to residential homes by unknown architects, to highly visible, but little known religious landmarks like St. Theresa Catholic Church by architect William Cody. Visit Chavkin's website, www.danchavkin.com, for more information, or look for Modernism Week 2016 signature events highlighting his book’s debut. VIDEO: Photographer Dan Chavkin explains how his book became a reality. 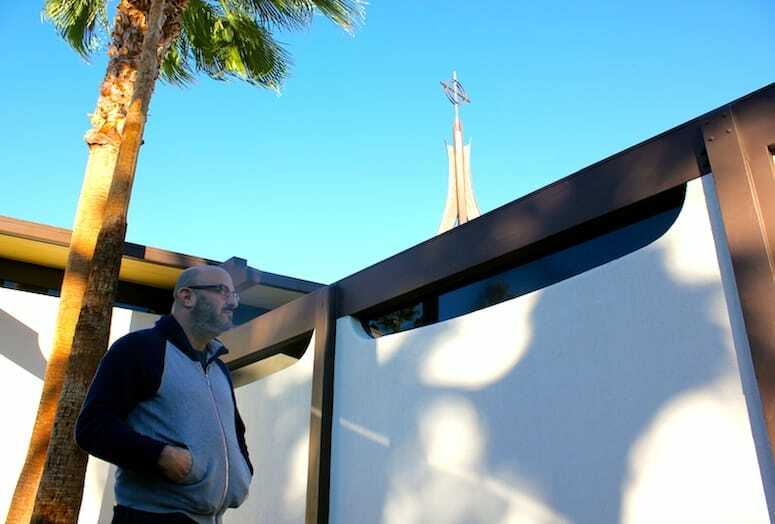 St. Theresa Catholic Church, on Ramon Road in Palm Springs, is a highly visible and well known religious site. However, much of the public is unaware of its architectural significance. St. Theresa Catholic Church showcases many unique design styles from Polynesian to Asian to Hawaiian influences. The Hideaway Hotel is significant to photographer/author Dan Chavkin. It became his first full-time residence six years ago while establishing his roots and knowledge of Palm Springs midcentury modern architecture. Guests of the Hideaway Hotel can enjoy the retro midcentury modern furniture in the hotel’s main dining area. The Harlan residence is one of the featured homes in Dan Chavkin’s newest book, Unseen Midcentury Desert Modern. The home is designed by little-known architect Dean Davidson in 1965.